Thoroughbred Betting is a horse racing tipster and is a sister service to the Elite Betting Syndicate, a service we reviewed recently and that passed with flying colours. Unfortunately we are sorry to say that it hasn’t been the same story for Thoroughbred Betting, who have experienced something of a struggle during our three month trial. They have ended up 25 points down to advised prices, which equates to a 50% loss of the bank and a -17% ROI. As you can see from the graph below, it was a really bad run towards the end of the trial that did for them. At Betfair SP things were even worse, with a loss of 52 points being made, more than double the loss at advised prices. So it won’t surprise you to learn that this is awarded a FAILED rating and is not a service we could recommend at the current time. Of course it could just be that we hit the service at the wrong time, but given the scale of the losses we worry about that kind of run happening again. Ease of use: With an average of just two bets per day and tips sent out in the evening before racing, this is a simple service to follow. Availability of prices: As mentioned above and as with the Elite Betting Syndicate, the prices do get pushed in quite considerably by the off, so you do need to get your bets on quickly. We are not sure based on the results of our trial that the service would be practical to follow at Betfair SP. Strike rate: The strike rate for the trial was 18%, which is probably quite a bit below where it needs to be to generate a profit. Advised Betting Bank: There was no bank advised for the service, so we used a 50 point bank which lost 50% of its value during the trial and at Betfair SP was wiped out. Subscription costs: The subscription costs are £1 for 7 days then £37+VAT per month. Sadly when you lose 50% of your bank during a trial the only fair outcome is going to be a failed rating and that is the case with Thoroughbred Betting. It may have been that we happened to hit them during a particularly bad run, but the scale of the losses was worrying for us and would have tested the patience of most subscribers. Hopefully they can turn things around but for the time being this is not a service we can recommend. Sadly a review that started off very positively going 15 points into profit early on has turned around quite significantly in the wrong direction for Thoroughbred Betting. They have lost 27 points since our last update, meaning they are now 24 points down for the trial overall at advised prices. As we have said before, it doesn’t look like this service is practical to follow at Betfair SP, with 27 points lost since our last update and 50 points lost overall. Not much change for Thoroughbred Betting at advised prices, with just one point lost since our last update a month ago. That means they are 3 points up for the trial overall. At Betfair SP things have been faring somewhat worse, with 6 points lost since our last update and 23 points lost overall. Let’s hope they can pick things up over the remainder of the trial and finish with a flourish. It’s been an up and down start to our trial of horse racing tipster Thoroughbred Betting, who are 4 points up at advised prices so far. That doesn’t tell the whole story though – we were 15 points up at one stage and 5 points down at another, so as we say a little bit of a mini-rollercoaster. There is a big difference with the results at Betfair SP though, which are 17 points down so far. It does appear to be a service where you need to get on the early prices with the bookies. A Thoroughbred – a “hot-blooded” horse known for its agility, speed and spirit. Developed in 17th and 18th century England, thoroughbreds were a result of crossbreeding imported Oriental stallions of Arabian, Barb, and Turkoman breeding with native mares. Apparently all modern thoroughbreds can trace their pedigree to just three stallions imported in the 17th and 18th centuries. Anyway, enough of the history lesson. Thoroughbreds are the topic of our latest trial here at Honest Betting Reviews – a horse racing service called Thoroughbred Betting. The team behind the service don’t just bet on thoroughbreds, but a wide variety of horses. Having been banned from all major UK bookmakers, they have turned their attention to helping people like us beat the bookies instead. Using a wealth of knowledge and wide-ranging industry contacts, they have built up a strong methodology to generate profits. Indeed, the results published on the website look highly impressive – more than £32,000 profit in less than two years at a return on investment of over 130%! Of course we can’t vouch for those results as we have only recently come across the website, but that is why we will be running a trial now to see if they can reproduce those kind of results under live trial conditions. Those of you who checked out our recent new trial of Elite Betting Syndicate may notice the similarity in the style of the website and indeed these tips do seem to be from the same stable. That is good news as far as we are concerned, because the Elite Betting Syndicate has been going great guns! The other piece of good news is that Thoroughbred are offering a one week trial for just £1, so you can check out the tips for yourself for 7 days before signing up to a longer subscription. 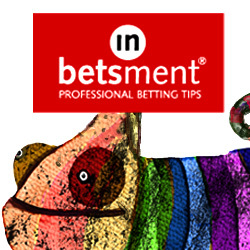 We started receiving the tips on 25th Feb, so we will record results from then onwards. We will update results here regularly during the trial so you can see how things are progressing. In the meantime you can check out Thoroughbred Betting here.